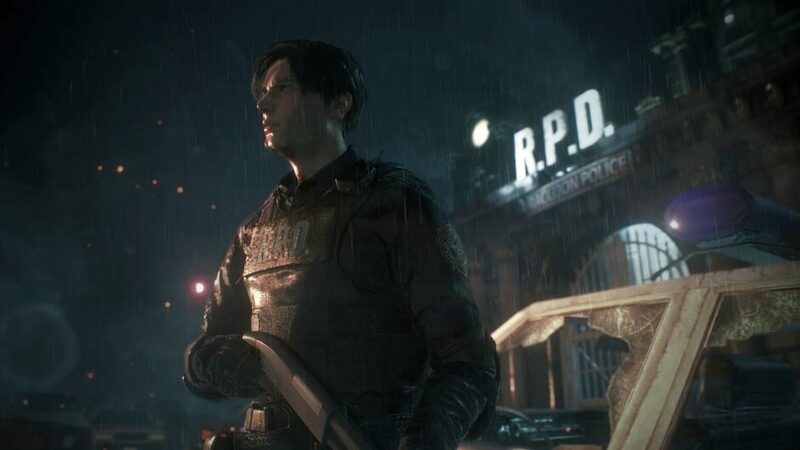 Resident Evil 2 is a remake of the critically acclaimed Resident Evil 2 from 1998 featuring fan favourites like Leon S Kennedy and Claire Redfield. I didn’t play the original back in 1998, but I did play it years later. It’s not my personal favourite Resident Evil game, but I still enjoyed my time with it. This is a pleasant remake, and I did have fun with it, I didn’t like everything about it, but this is a remake I would definitely still recommend to newcomers and fans of the original Resident Evil 2. While playing this game, I could immediately tell that a considerable amount of effort and care was put into remaking the classic that was Resident Evil 2. It’s not an easy thing to do either. 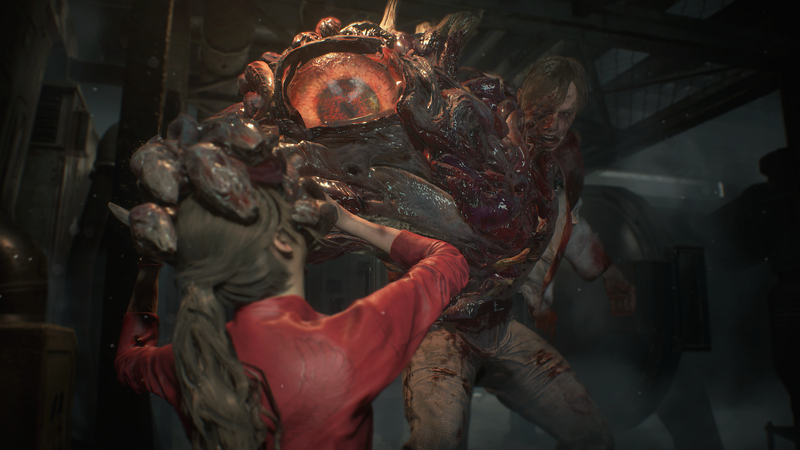 Resident Evil 2 is a fan favourite and with remakes of fan favourites comes high expectations. 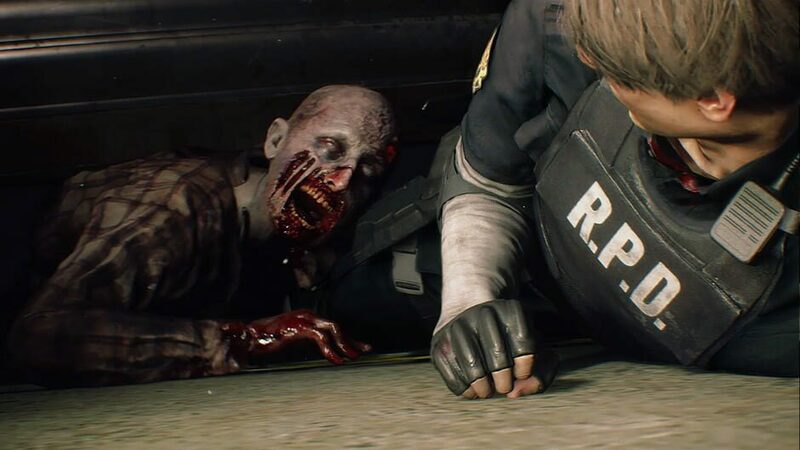 I think it’s safe to say that Capcom has done a good job remaking Resident Evil 2 and has definitely made most longtime fans happy. The RE Engine is just brilliant! Following on from that the visuals in this remake are quite remarkable. The remade versions of Leon and Claire are great and I’m speechless with the fantastic work the RE engine can do. With that being said this game definitely isn’t pushing the consoles to its limit, which is fine to some extent. Not every game needs to be a graphical showcase. Overall I’m pleased with the RE engine and it seems Capcom have found their ground with this engine which is great. My inner soul cannot wait to try out Devil May Cry 5 in March since that game is also using that engine. Capcom should just use this engine for all of their games, it would be quite interesting to see a Street Fighter or Monster Hunter rocking this engine. Performance wise Resident Evil 2 runs great, one thing I like about this engine is it can get games to run really well and Resident Evil 2 is no exception. It would be interesting if Capcom used this engine to revive Deep Down but that topic can be saved for another day. One thing I was disappointed with was with the soundtrack in this game. The soundtrack in the original Resident Evil 2 gave the game a creepy and awe-inspiring atmosphere. I felt like some of that atmosphere was lost in this remake. It’s not nostalgia speaking either. The soundtrack in the original Resident Evil 2 still holds up exceptionally well. It was impressive for its time. If you bought the deluxe edition, then I highly recommend you revert to the old soundtrack and if you didn’t then you can buy it from one of the digital stores. Moving on from that the gameplay in Resident Evil 2 is great and this game brings back the beloved third person view. In Resident Evil 2 you spend a lot of time looking for equipment, opening boxes with codes and solving puzzles. The game is also swarmed with zombies. Zombies are everywhere in this game and they take so long to kill to the point where it can become a tiny bit frustrating. I don’t have a problem with these “sponges” but I can see why others might have a problem with them. The thing is you don’t have to kill them all, it’s not some kind of requirments so just kill the ones you can. If I’m being 100% honest with you, I did slightly prefer the gameplay and atmosphere in Resident Evil 7. 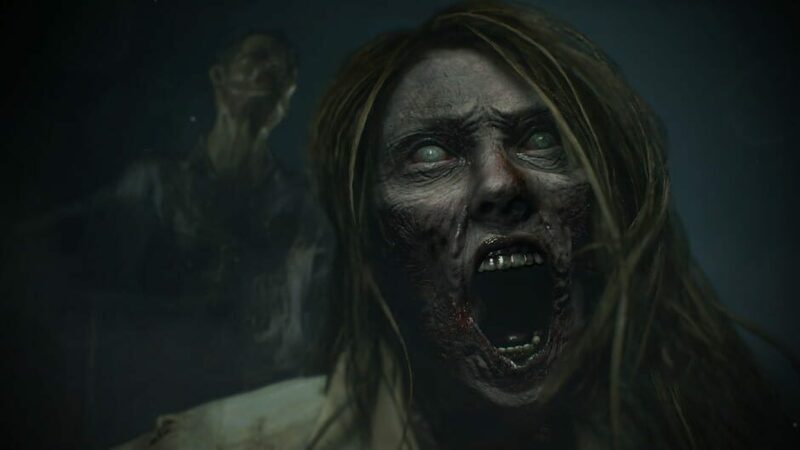 At first I thought I would despise the first person view in Resident Evil 7 but in the end, I loved it and I think every Resident Evil game going forward should keep the first person view. Resident Evil 7 was spooky, creepy and spine chilling and was true horror goodness in my opinion. Resident Evil 2 is still creepy and spooky but I just got that horror fun when I played Resident Evil 7 back in 2017, something I didn’t really get from this game. Anyways the gameplay is solid, it’s great and enjoyable and if you’re looking for a game with solid gameplay then definitely look into this game. 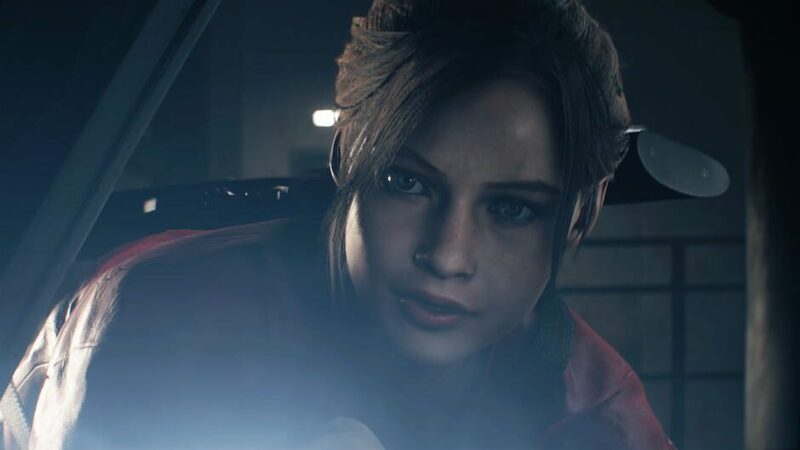 In Resident Evil 2 you play as both Leon and Claire and they both have different paths. There is Leon A and B and Claire A and B. The game, in general, is pretty short but quality short if that make any sense to you. Resident Evil games aren’t really jam-packed with content but they do have high replay value. To be honesnt, it was a breath of fresh air playing this game. These days games have so much bloated content, and it’s not even quality content but being packed for the sake of being packed (I’m looking at you Assassin Creed Odyssey). Sometimes having quality short games can be pleasing and more are welcome, with that being said if a game is short but lacks the class then that is a big no from me. Luckily Resident Evil 2 Remake is actually a pretty good game. Overall this is a very good game. I had my fun with it, and I definitely recommend it to fans of the genre, Resident Evil and just anyone in general. The next Capcom game is Devil May Cry 5 and I really hope it does not disappoint. Time will tell, but Capcom is on a roll.